What are the pros and cons of converting an after-tax (a.k.a. 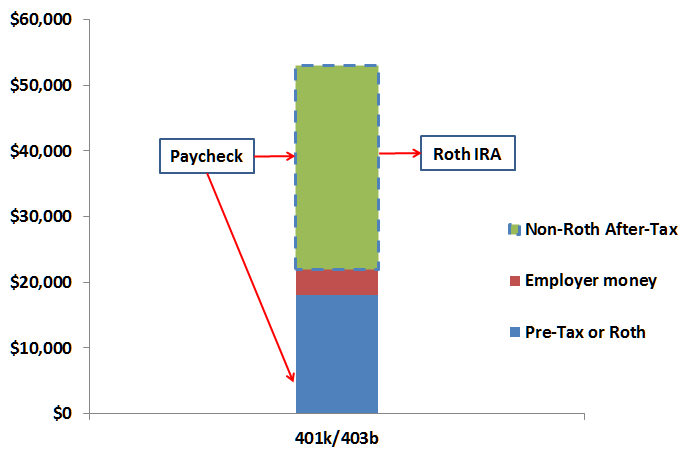 post-tax) 401(k) to a Roth 401(k)? pro: in the Roth 401(k), earnings made on the contributions are tax-free, unlike in an after-tax 401(k). Did I miss something? I.e., should one always convert an after-tax 401(k) to a Roth 401(k)? Some 401(k) plan allows a so-called Roth in-plan conversion, which consist in transferring money from the after-tax 401(k) to the Roth 401(k). I haven't heard of a company allowing you to convert an after-tax 401k to a Roth 401k, though an after-tax 401k to a Roth IRA conversion is common and has basically the same upside. You'll have a taxable event on your gains until the point of the conversion, but that's a small price to pay to make sure all future gains are tax free. I agree, there really is no downside. I found one con of converting an after-tax 401(k) to a Roth 401(k) (aside getting taxed during the conversion on any earning of the after-tax 401(k)): the money converted to a Roth will no longer be eligible for after-tax withdrawals. Another added benefit of an after tax 401k withdrawal is that you will not owe the IRS a 10% early withdrawal penalty for taking the distribution even if you are under the age of 59 ½. Sweet deal! However, since the Tax Reform Act of 1986, during this withdrawal, any earning on the after-tax 401(k) is subject to ordinary income tax and a 10% early withdrawal penalty. Before the Tax Reform Act of 1986, this withdrawal would have been tax-free.